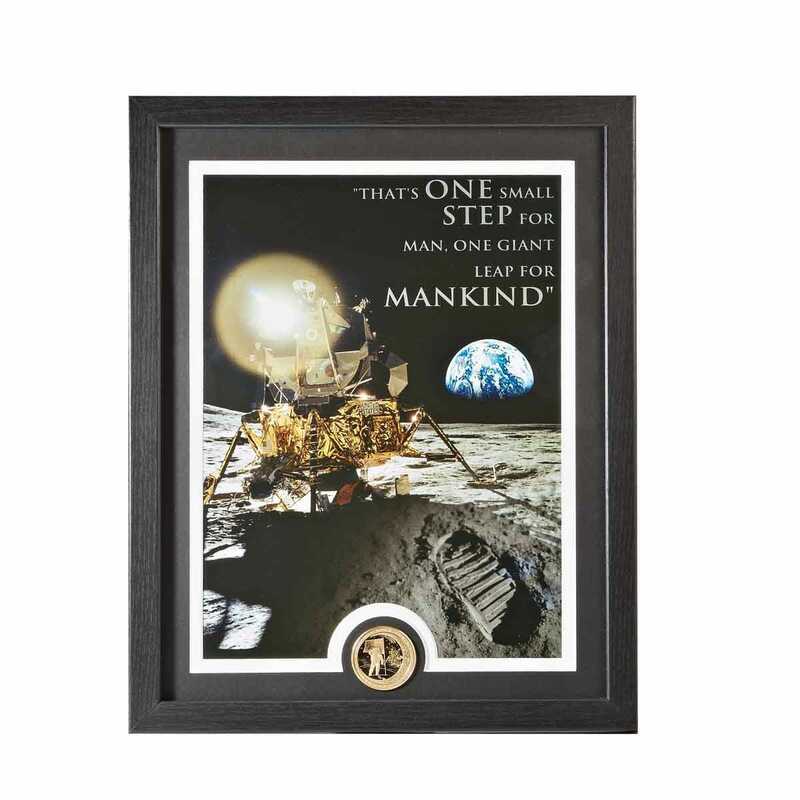 Celebrate the 50th anniversary of the Apollo 11 Moon Landing in 1969 with this custom Framed Apollo Moon Landing Print with 39mm Collectible Coin included. The Apollo 11 mission was the first manned mission to land on the Moon. It was the fifth human space flight of Project Apollo and the third human voyage to the Moon or Moon orbit. Launched on July 16, 1969, it carried Mission Commander Neil Armstrong, Command Module Pilot Michael Collins, and Lunar Module Pilot Buzz Aldrin. During the landing, Neil Armstrong would say one the most famous phrases in American history, “That’s One Small Step For Man, One Giant Leap For Mankind”. That same phrase is printed on this Print above planet Earth. Print measures about 11.25”h x 8.5”w, with the black wood frame and matting the Print measures 15”h x 12”w. Includes hanging hardware. How many headsets can it carry?? BEST ANSWER: This case is designed to carry a pilot's charts. It does not have a specific space for headsets. Is the inside open or contains dividers? BEST ANSWER: This case has one divider on the inside. does the bag detach from the frame ? BEST ANSWER: The bag does not detach from the frame. BEST ANSWER: Dimension inside are 18 1/4"W x 8.751D x 14"h.
THIS pilot case has wheels for floor rolling?